Like we’ve talked with minimalism, complete changes to your house cannot always be feasible. Maybe you’re dreaming of moving into a bigger place or want to significantly renovate your house but the timing isn’t right. No problem. It happens to the best of us. We’ve all been there! At About Halifax, we wanted to provide simple options to help change the interior design of your house without blowing your budget. Below are three simple suggestions that cost less than an entire renovation (or new home!) and will change the entire dynamic of your living space. Would you be able to describe a pendant light without googling it? I know I couldn’t. But after I plugged the term into a search engine, I realized that yes, I do in fact know what they are! They are those single lights that hang from ceilings. That’s it! Simple yes, but they add a huge dynamic to your kitchen or living room. Relatively-easy upgrades like pendant lights add an interior appeal to your home, especially if you’re trying to liven up your living space or if you’re getting ready to sell. Our suggestion is the locally-made Lomhara from Luxi Studio because of its hand wrought style and unique designs. If the Lomhara doesn’t strike you, try the Florian from Attica. It’s chrome, modern look fits in most living rooms or kitchens, and looks great in both a formal or informal setting. The farmhouse sinks primary purpose is practicality. Let us explain.In the 16th and 17th century, before the invention of indoor plumbing, water for the kitchen came wells, lakes, and rivers. To save time and energy, kitchen held enough water for an entire day to prevent multiple trips to the water source. And because of the sheer amount of time spent in front of a sink, they adopted a design which would to extend from the counter to prevent the user from leaning too far and straining themselves. 400 years later, these sinks are making a comeback (for slightly different reasons). The aesthetics and two-tone colour they offer allows homeowners to balance style and tone throughout the kitchen while the apron feature breaks up what could be drab countertops. Though there isn’t any specific one we recommend, you can easily find these sinks in Halifax at Ikea (DOMSJÖ), Wayfair (Nantucket) or Home Depot (Vigo). 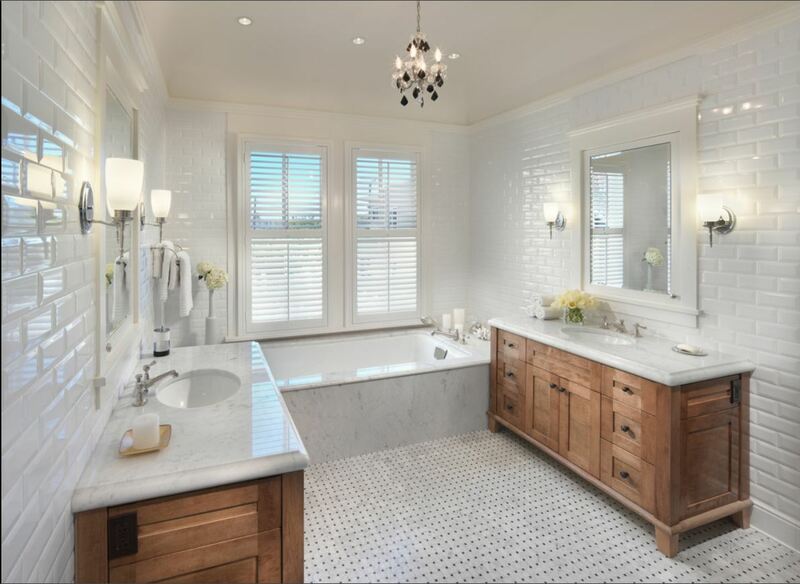 Depending on your budget and overall home design scheme, you may also opt for a farmhouse sink in your bathroom. Style and colours are a bit limited when it comes to the bathroom though if you’re flexible, you can one find that fits. We found the Native Trails Copper sink which would fit in a variety of schemes and bathroom layouts. This style piece is so old it’s new again. What originally covered the New York subway systems of the 1900’s is making a renaissance in kitchens and bathrooms in North America. This simple, sanitary tile lends a retro-feel to the room while providing the opportunity to add an easy home improvement for a low cost. Because of design, it pairs with similar colours, white on white, or contrasting shapes, like rectangles and hexagons. 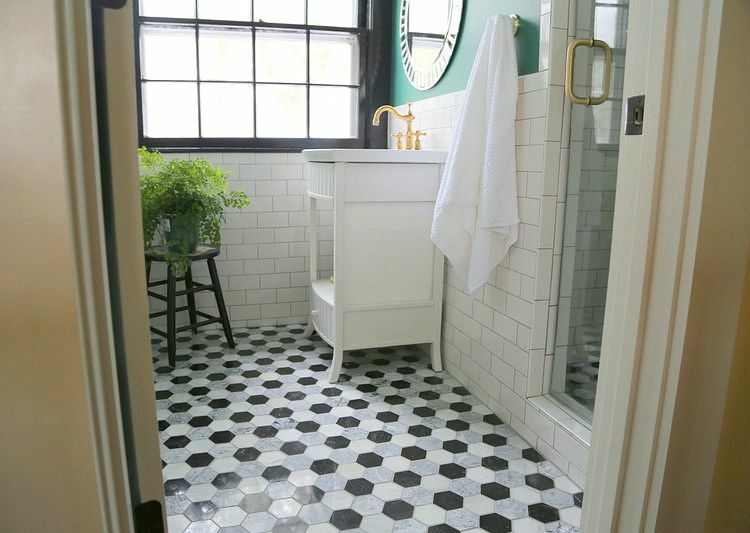 Whether you’re looking an accent piece to highlight bathroom features or something to lay-low in the background of your kitchen, subway tile will work. In terms of subway tile in Halifax, your best bet would be Centura Tile or Olympia Tile + Stone. At this time of the articles publishing, there were a few options available on Kijiji as well.